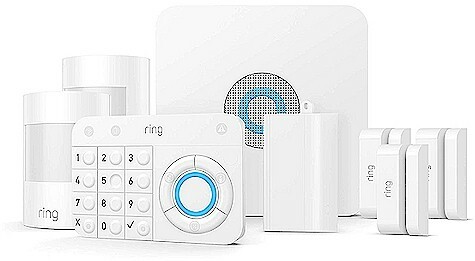 Amazon has got the 8-piece Ring Alarm Home Security System for $188.98 with free Prime shipping, the lowest recorded Amazon price on this system. It got 4.5 out of 5 stars over 458 customer reviews and is an Amazon #1 Best Seller. Manage Ring Alarm and other Ring products—including Ring Doorbell—with the Ring app. Easily setup Ring Alarm in minutes—without tools or professional installation. The 8 piece kit includes a base station, 3 contact sensors, 2 motion detectors, keypad, and range extender.